Zeboyd Games' upcoming role-playing game won't just be available on PC. The studio announced at PAX Prime this weekend that they're also bringing the title to PlayStation 4 and PS Vita in 2014. The two-man development studio previously made Cthulhu Saves the World, Breath of Death VII, and the third and fourth Penny Arcade’s On the Rain-Slick Precipice of Darkness episodes. Cosmic has the same retro feel as those titles. 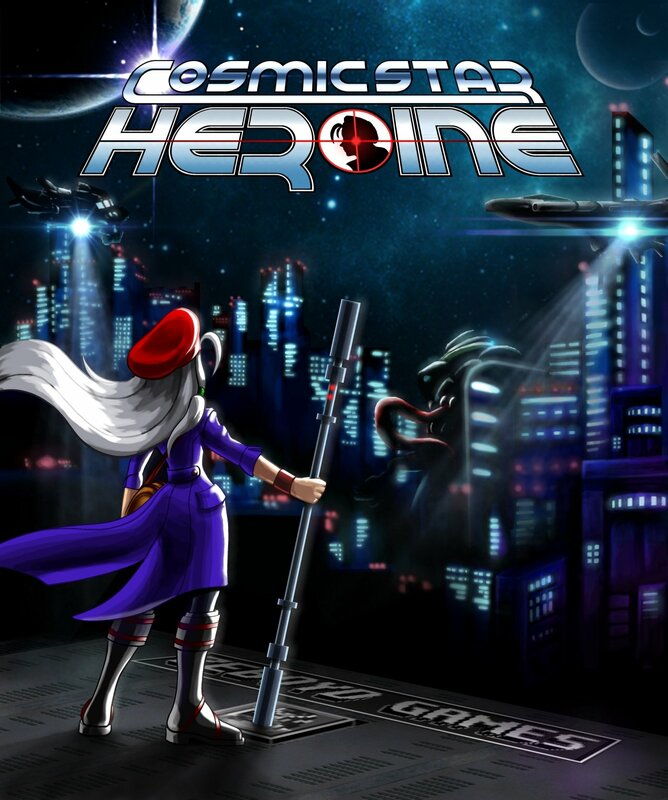 "Cosmic Star Heroine is our latest attempt to recapture the feel of some of the classic RPGs of the 90s, while putting our own unique spin on the whole experience," Zeboyd said in their announcement on the PlayStation.Blog "Inspired by games like Chrono Trigger (visual style, on-map battles, combo techniques), the Phantasy Star series (overall feel of the worlds and characters), and the Suikoden series (political intrigue, expandable player headquarters), we can’t wait to share Cosmic Star Heroine with you!" Alyssa L'Salle is the titular heroine. She's a secret agent who has saved the galaxy on numerous occasions. When she sees something she shouldn't have, however, her government reveals her secret identity to the public. While this makes her an instant celebrity, it also turns her into a target. While dodging various villains from her past, she'll attempt to save the galaxy once again. To accomplish her mission, she'll recruit a rag-tag group of "heroes." 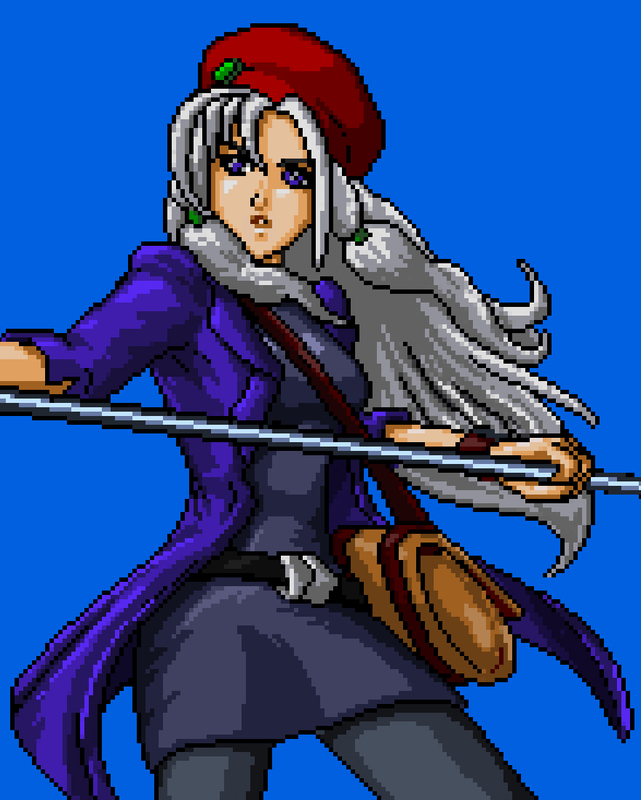 In order to complete Cosmic Star Heroine, Zeboyd will be launching a crowd-funding campaign on Kickstarter soon. Backers who donate $10 or more will get cross-buy codes so that players can download both the PS4 and PS Vita versions of the RPG through PSN. Additional rewards and details will be announced in the coming weeks. The opening video for the game is below. Zeboyd says that it was inspired by Sega CD era games. Dust: An Elysian Tail designer Dean Dodrill helped with the effects and animation. The music was made by Hyperduck's Chris Geehan and Dan Byrne-McCullough. Hyperduck provided the music for Episode Four of Precipice and will be scoring CSH as well.